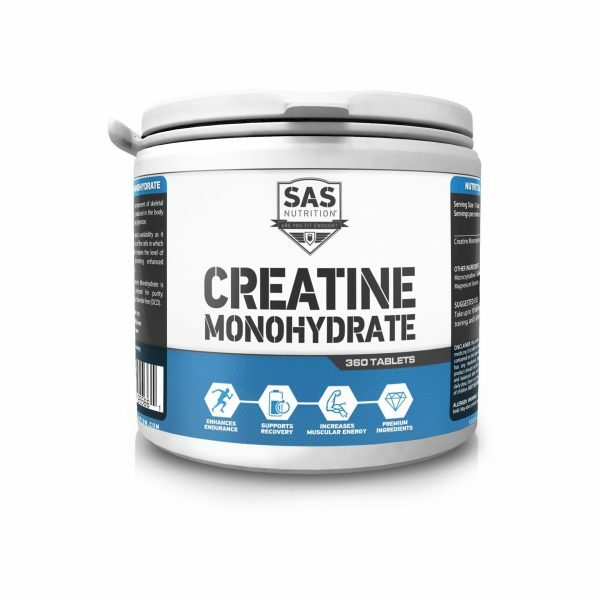 SAS Creatine Monohydrate tablets combine all the muscle building benefits of creatine monohydrate in a convenient tablet form. Creatine has been the supplement of choice for athletes and gym goers alike for years past and years to come. 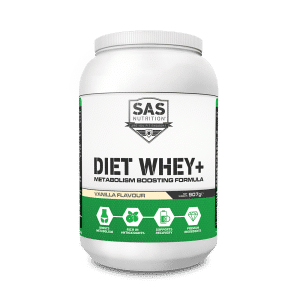 It is one of the most well researched supplements in the industry and creatine monohydrate tablets are recommended by scientists and sports nutritions from all over. 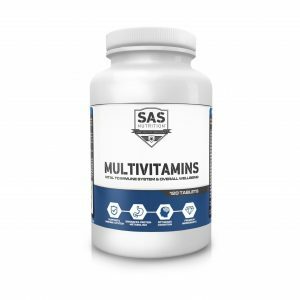 Creatine Monohydrate, quite simply put is the most understood and scientifically studied supplement available on the market today, numerous studies over the years have shown that Creatine supplementation leads to an overall increase in muscular size, strength and endurance. Creatine stored in muscles is used by your body to produce explosive energy, mainly during bursts of short term, high intensity exercise. Once the creatine stores have been used up your body needs to produce these molecules to be ready for that next lift or sprint. This process can take up to 4 minutes, which is a lot longer than most breaks between sets. Therefore it is vital that you have stored as much creatine as possible. SAS Nutrition Creatine Monohydrate tablets are for everyone. Anyone who is involved in sports such as football, swimming and rugby will see a massive increase in performance after only a few weeks. If you are aiming to train harder, get bigger, leaner or stronger then creatine supplements should be a high priority. The increase in performance will be seen in both women and men, no matter your goal. Research indicates that the fastest way to increase creatine stores is to follow two steps. The first is loading the second is maintenance. For the first week, the aim is to load your body with creatine. We recommend that this is done by taking 0.3 grams of creatine monohydrate per Kg of body weight for 5 to 7 days. 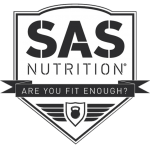 SAS Nutrition suggests taking half in the AM and half post workout or before bed on non workout days. Now your stores of creatine are at their best, it’s time to keep them there we suggest taking 5 tablet in the AM and 5 tablets post workout or before bed on non workout days. It is also important to know that due to creatine monohydrates increase in cell hydration you must remember to consume additional water daily to maximize these effects. Creatine Monohydrate, Micro Crystaline Cellulose, Silicon Dioxide, Magnesium Sterate.